In the early 1990s, Chuck Hayward was buying wine for the Jug Shop, a small San Francisco retailer. With family-owned wine shops going out of business as big fish like Costco showed up, he felt he needed to set the store apart–so he started stocking an unusual amount of Australian wine. He found that the bolder versions of Aussie shiraz and cabernet were a hit with customers familiar with California zinfandel. Australian winemakers began making detours to visit the store, and soon Hayward was heading Down Under, drawn into the regional particularities of Australian terroir. 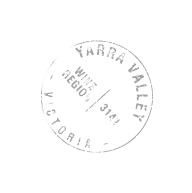 His first taste of Australian riesling was a bottle from Margaret River, which he found to be juicy and pleasant enough. But soon importers were bringing him rieslings from Clare Valley, a cool upland region north of Barossa. And they were something else. “Tasting them for the first time, I dare anyone not to get excited about them,” he says. He found that the fresh, bone-dry whites often took on fascinating flavors and texture with age, knit together by Clare’s unmistakable acidity. “That spray when you squeeze a lime, that’s Clare,” he says. While a good Clare riesling should be instantly recognizable, he finds that soil, elevation and producer style do give different expressions, especially in the case of these six definitive Clare rieslings that he pulled together for a conversation and tasting.